If you cannot find some particular files in other categories, Train Simulator 2017 Other Addons may be the answer. 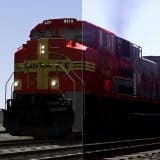 All Train Simulator 2017 Other Mods are design especially for this edition to be working properly. It has never been so easy to get additional features – you can do that by simply clicking on Train Simulator 2017 Other Addons download. Sounds too good? Not at all! Train Simulator 2017 Other Mods free files are a great option for those, who want action and play hard. Anyway, if you haven’t tried TS 2017 Other Addons yet, it’s about time. Believe us, after trying TS 2017 Other Mods, it will be hard to imagine your game without it. These files are so popular for some reason – they help a player to score better. Playing smart is something you should seek for in order to compete with the best players. Take a chance right now!